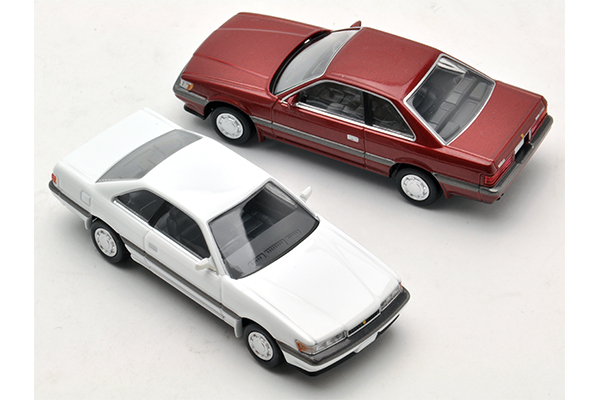 I felt that the Nissan Leopard is starting to be recognized. 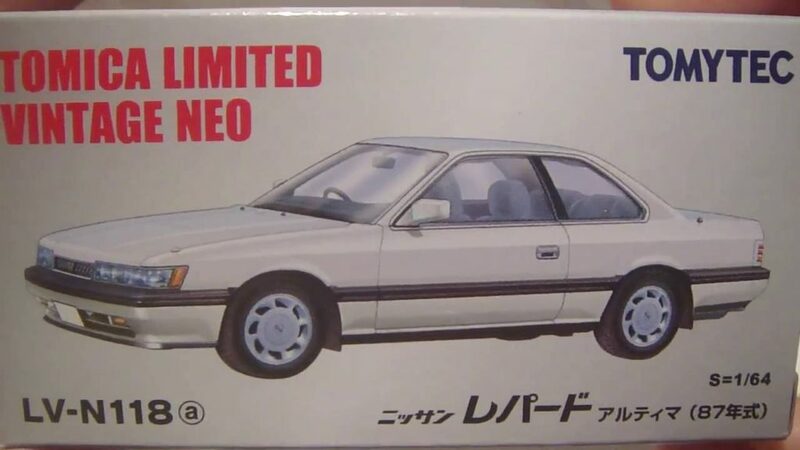 Besides the typical 1/24 scale models by Fujimi, Aoshima and Tamiya (and others that I might have forgotten) and Choro Q, there isn’t much. 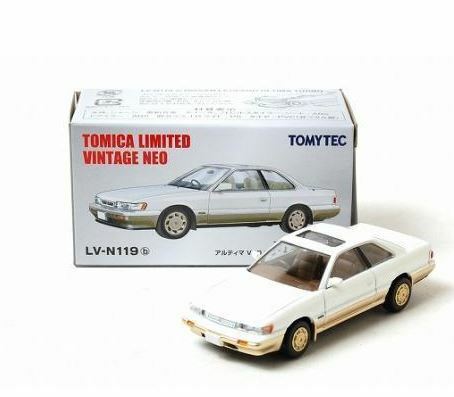 2016 – Tomica releases the Limited Vintage Neo set. 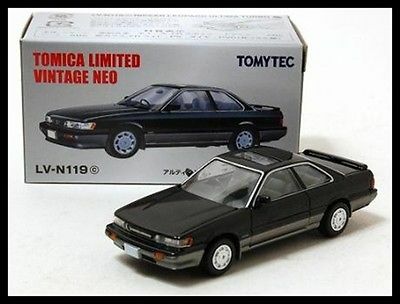 According to Tomica, it is to commemorate the Final Abunai Deka movie “Farewell Dangerous Detective”. I didn’t know much, but I just saw the leopard brothers showing pictures. I asked Noguchi-san to get me one. We agreed to exchange gifts at the 30th annual Leopard meeting. I arrived and I looked for Noguchi-san. Osamu-san handed me the gifts and to my surprise, Noguchi-san got me 6 (pretty much the whole set). 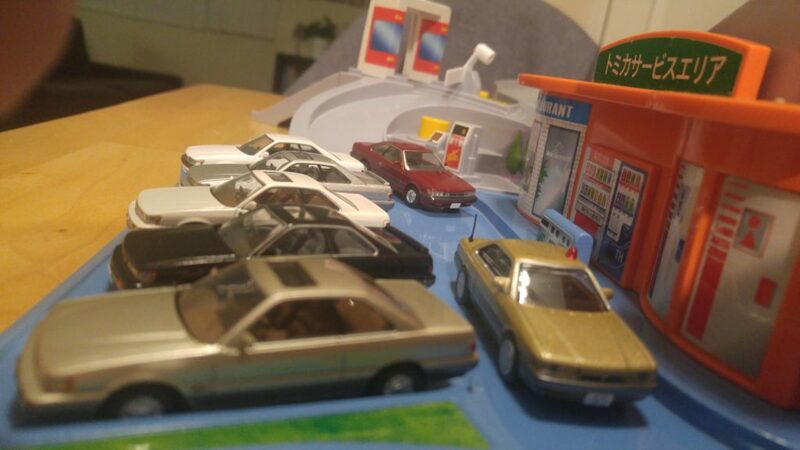 My ignorance did not think it was a big deal, until I saw how much each car was. 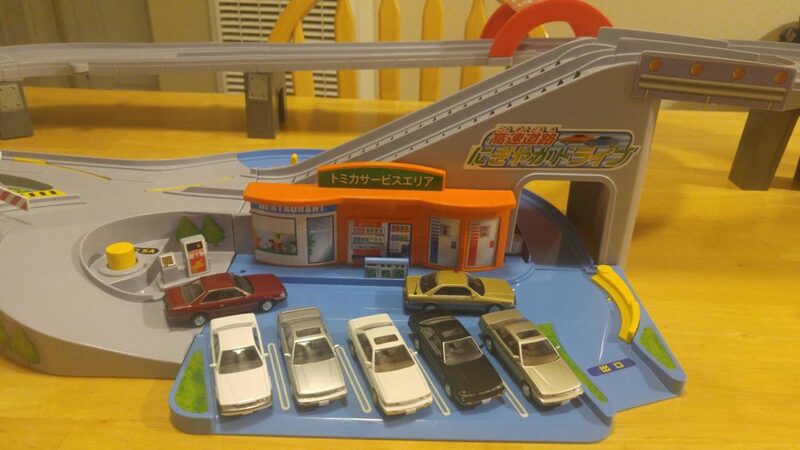 I thought the cars were at $2 each, but when I went to the stores, they were $20-25 each! Do the math and Noguchi-san bought me these at a cost. So I had to return the favor by getting what he wants for his collection. But I was super happy to get them. 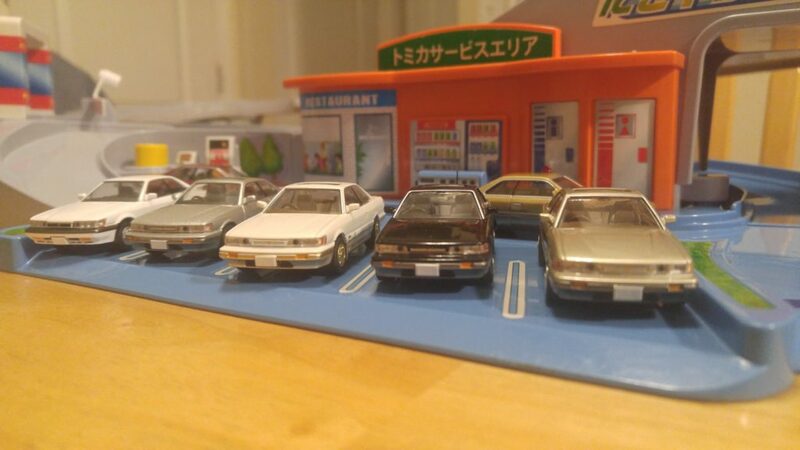 There are a couple Zenkis (early term) and mostly Koukis (later term). Here is a quick video review I did of them. I didn’t know how many different variations were available, so I asked Noguchi-san and he told me he got all the them besides the Abunai Deka versions. 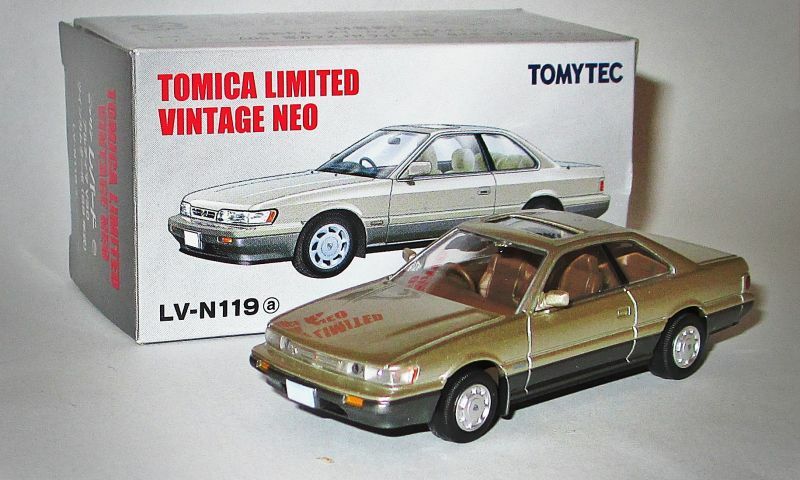 In commemoration of the theatrical version of “Farewell Dangerous Detectives” (January 30, 2016), LePard (F31 type) is new even in the TLV – NEO series ordinary goods as well as the specification of the middle car. First of all, two colors of white and red (wine red) are chosen from the earliest type top-end car “3.0 Altima” equipped with the VG 30 DE type. Although it is the F31 type that appeared in 1986, wine red is a chic color added the following year. February is just 30 years from the launch of F31 type. 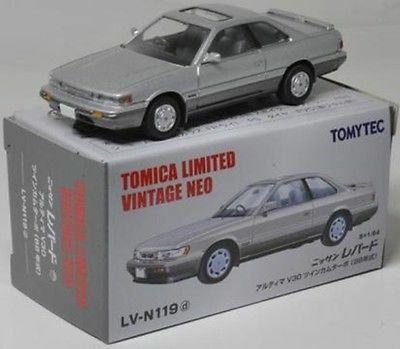 Second was the first of the Koukis (Later term F31 Leopard) with the change to LVN 119a and 119b. The F31 type leopard performed a large minor change in 1988, and the design of a considerable part of the interior and exterior was changed. Even in TLV-NEO, we will reproduce the late model by manufacturing the mold separately from the previous model. Modeled the ultimate car “Ultima Turbo” equipped with the most powerful 255 horsepower VG30 DET type at that time. We chose two colors of beige / gray, white / beige from 2 tone body color peculiar to late stage. 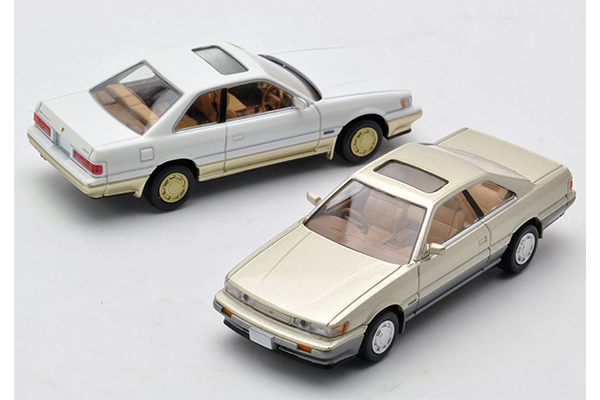 The expansion of this set were also koukis. Just before the movie “Farewell Dangerous Detectives” is released! The topic is also spreading about Leopard (F31 type) that appeared in the red beak. 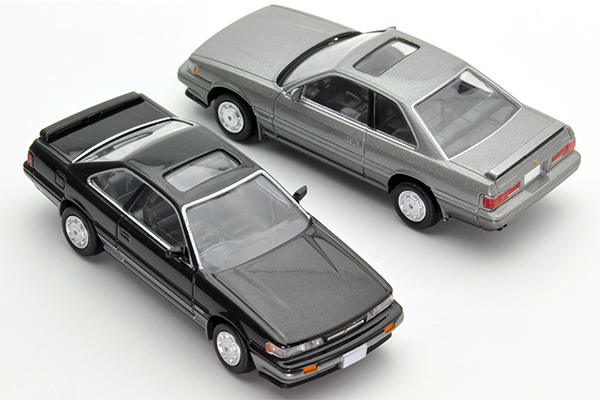 This time, we reproduce the two types of calm two tone colors, black / silver, silver / gray, from the top grade “3.0 Ultima Turbo”. I have worn a spoiler in front and behind. 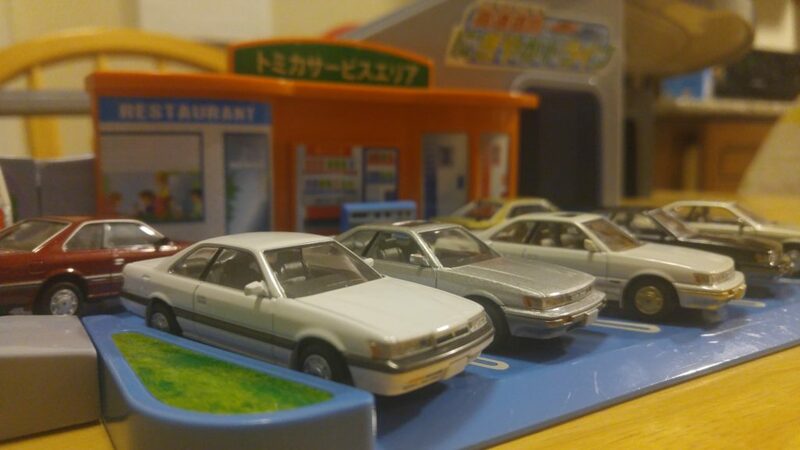 I tried to find the Tomica Nissan dealership, but couldn’t. 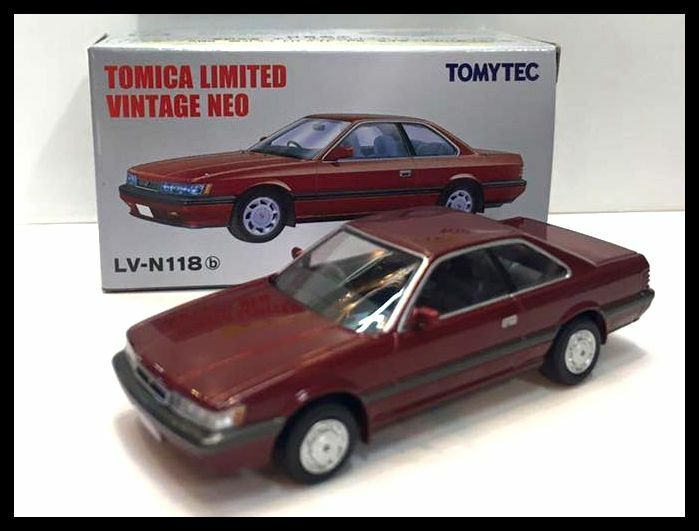 This entry was posted in scale model, tomica, toys and tagged 1:64, 1/64, LVN 118, LVN 119, tomica limited vintage neo, tomytec.